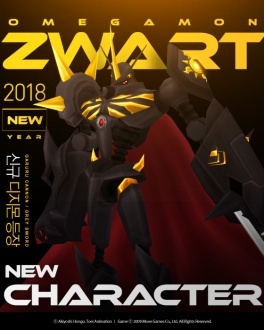 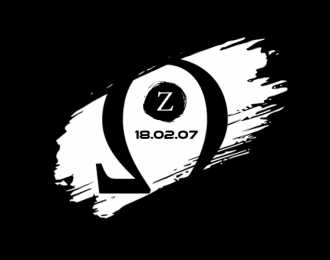 Omnimon Zwart is a Holy Knight Digimon. 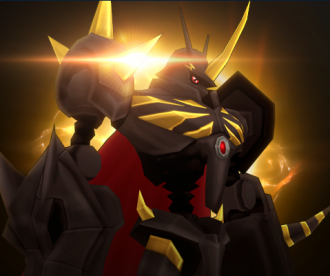 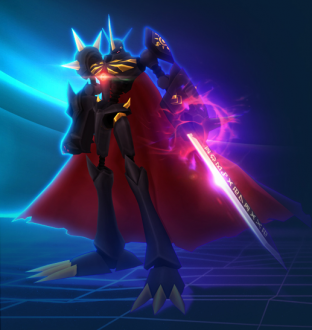 In recent years, it was discovered that if the secretion "Black Digitron" is mixed in with an Omegamon while it is in the process of fusion, it will be temporarily born as a black holy knight. 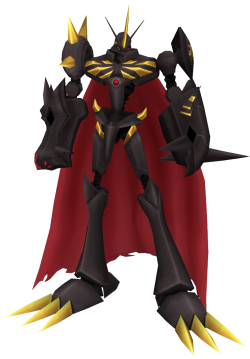 It displays a further increase in power, beginning with the weapons on both of its arms. 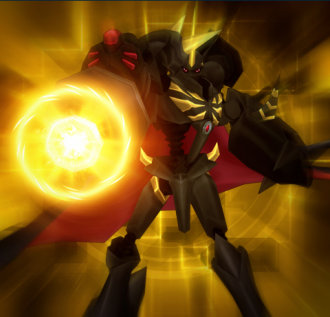 Shoots destructive ray which possess negative energy from the Garuru Cannon equipped on his arm. 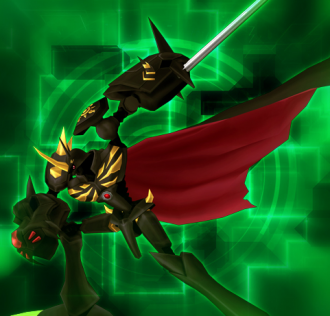 Draws the sword of negative energy and darkness in harmony and slashes the opponent with it.